Of course, your home is clean. Of course. However, because we like you, we need to be straight up: There are places in your home that are just plain dirty. So, it's that time of year to go boldly where you haven't been in months. (Maybe longer? No judgement.) Whether it's your trusty coffee machine or favorite pillow, here's what, how, and how often you should be cleaning those overlooked nozzles, nooks, and crannies. It seems logical: your washing machine must be clean since its entire purpose is to clean all of your clothes, right? Wrong. Moisture, mildew, plus dirt and debris can effect its overall performance. Basically, you need to wash your washing machine. To clean: First, spray the inside of your machine liberally with white vinegar, and be sure to get the edges, and in all of the nooks and crannies. Then, with a sponge and/or toothbrush, further scrub out any grime. 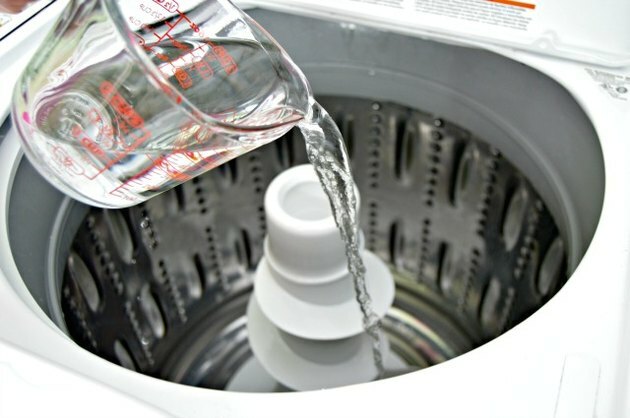 Use a pitcher of warm water to give it a good rinse, and last, run a regular cycle on hot with just 2 cups of vinegar to disinfect and remove any mold, mildew buildup, and smells in the parts of your washer that can't be reached. How often: It's a good idea to clean your washing machine at least once every few months. Bed pillows absorb the oils in our hair and skin, as well as harbor dust mites. That's the bad news. The good news is that it's super simple to clean bed pillows and kill any germs or mites using ingredients you might already have around the house. To clean: Gather some detergent, washing soda, and your favorite essential oil, like relaxing lavender, and start by running your washing machine for a large load on the hottest setting. Add the laundry detergent (what you would typically use for a full load) to the running water, and then add 1/2 cup of washing soda — this will help lift any stains. Add five drops of the essential oil (optional) and wash up to two pillows at a time. To dry and fluff your pillows, place in the dryer on low heat for a full cycle. How often: This is easy enough to clean every three months. 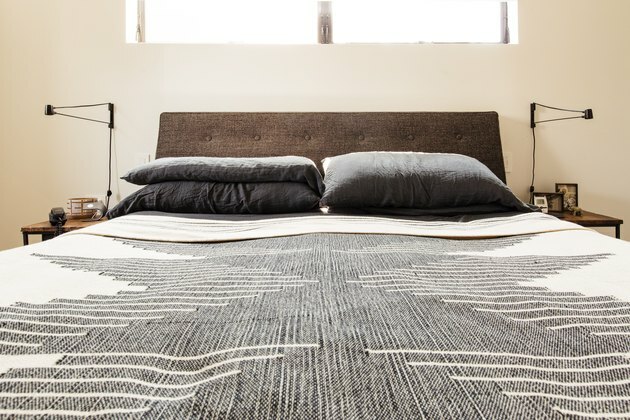 Bed mattresses are another harborer of dust mites and they can get pretty dingy all over. Definitely does not make for sweet dreams. 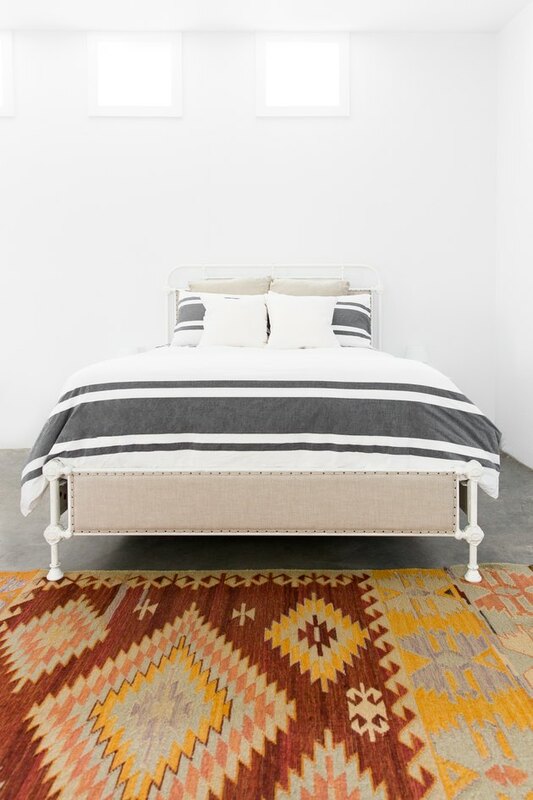 To clean: All you'll need in order to freshen your mattress is baking soda and a mason jar (or something to use as a shaker), plus lavender essential oil. Add one cup of baking soda (it's a natural odor absorber) to your empty container, and then 10 drops of lavender oil to the baking soda. Sprinkle a generous amount of the mixture onto your mattress and leave for 15 to 30 minutes. Then, using a hand held vacuum, carefully remove the entire baking soda mixture from the bed. Boom. Fresh. 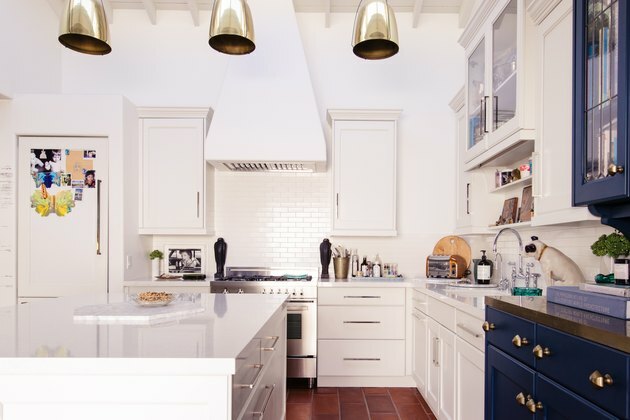 How often: Flipping it over and cleaning at least twice per year should be added to your to-do list. 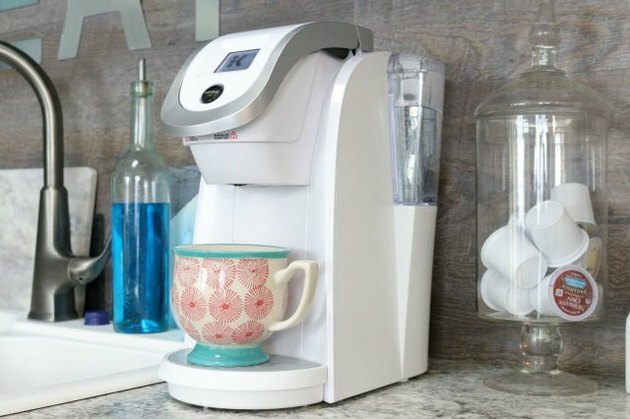 No, not your beloved coffee maker! Unfortunately, yes. Coffee machines are notorious for harboring mildew and bacteria. And that just isn't what you want flavoring your morning cup of joe. To clean: Simply run two to three cycles using white vinegar instead of water, and then use a toothbrush dipped in vinegar to scrub any areas that may contain buildup. Just be sure to rinse with water after cleaning, and your coffee machine should be nice and bacteria free! How often: These machines should be cleaned about once per month. 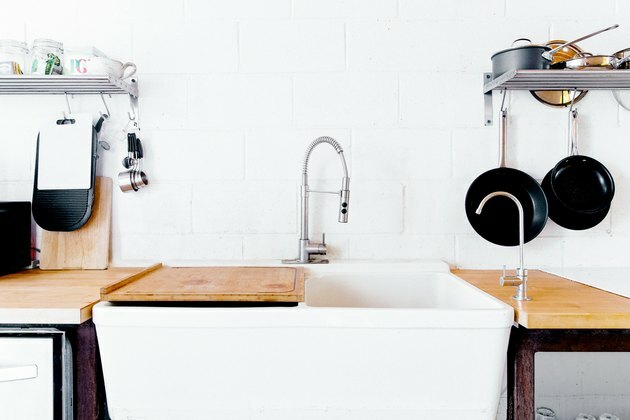 Kitchen faucets get really grimy, and most of the time, this dirt goes without notice. Take a look under the faucet and you will probably see some mildew and lime buildup. These things can transfer into your drinking water and any water that you use to cook in if they aren't removed. Help. To clean: Simply tie a bag of distilled white vinegar around the faucet and secure it with a rubber band. Let it sit for at least 30 minutes, then scrub and rinse. How often: You should clean your kitchen faucet at least once per month, or as needed. 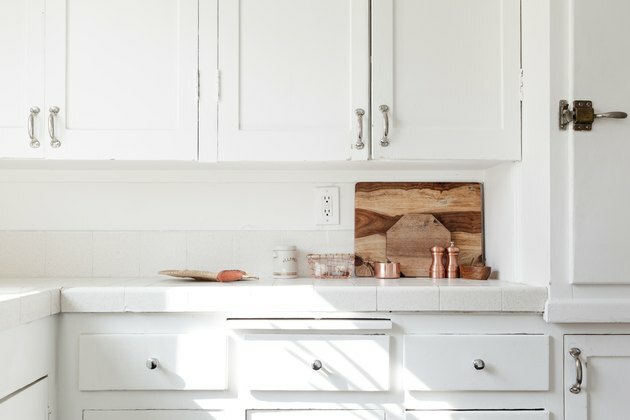 To clean: To clean, sprinkle the board with salt and then use half of a lemon to rub the salt into the surface of your cutting boards or butcher block surfaces. This is a triple threat of natural cleaning by removing any stains, odors, and bacteria all in one. Just rinse with water and dry thoroughly. How often: These surfaces should be cleaned every couple of weeks but often get neglected. So, get on it. Just like with washing machines, dishwashers are thought to be clean since water and detergent are constantly running through them — but debris and food from your dirty dishes can get stuck in the drains and jets, along with mold and mildew. In just a few steps, you can clean and deodorize the inside of your dishwasher using common household ingredients. To clean: First, remove the bottom rack and spray the inside liberally with vinegar. Use a clean cloth to wipe down the seal, and then replace the bottom rack into your dishwasher. Pour one cup of vinegar into the bottom, and then add one cup of baking soda. Optional: Add three drops of lemon essential oil to deodorize. Run your dishwasher on the light wash cycle and you're done. 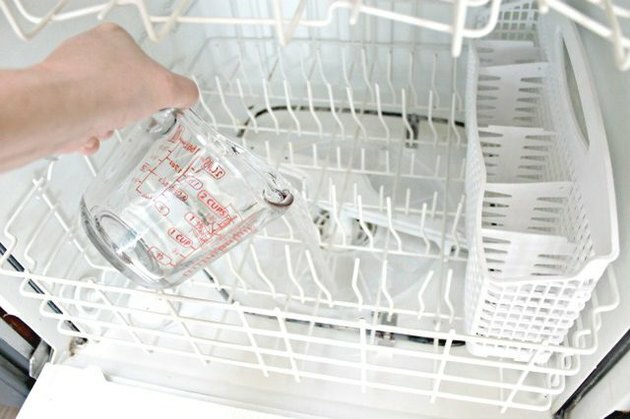 How often: You should clean your dishwasher at least once per month to make sure it continues to run smoothly. Ice makers also tend to hold a lot of moisture, and the nozzle area where ice and water dispenses can especially build up with mildew. Cheers ... not to that. 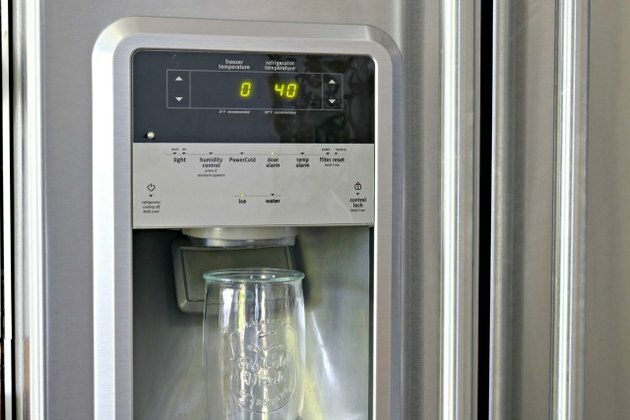 To clean: To keep your ice maker clean, use a toothbrush dipped in vinegar to give it a good scrub. Just rinse with water into a cup, and your ice dispenser should be clean and germ free. How often: About once per month. The racks in your oven can easily build up with food and debris — and just as easily go overlooked. It's a good idea to clean your oven racks and remove any burned-on food or oils to ensure they don't get rusty. This way, they'll last for years to come. 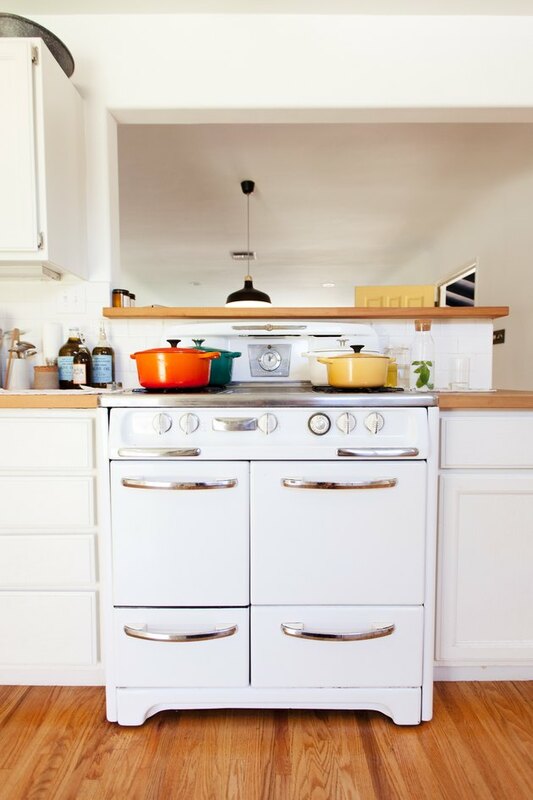 To clean: Remove the oven racks and place them in a tub or shower. Spray the racks liberally with vinegar, then cover with baking soda and let sit for 10 minutes. Next, douse them with hot water and let sit for another 10 minutes. Use a scrub pad to remove grime, then rinse and dry. Now you're ready to cook again with sparkling clean racks! One of the most forgotten items in our homes are the window screens. Dirty window screens can fill with debris, cobwebs, and even rust. Not a good look in home decor. To clean: All you need is a large bowl or bucket, clean water, 1 teaspoon of dishwashing liquid, a scrub brush, and a clean cloth. Oh, this feels better already. Mix the dish soap with the bowl or bucket of water. Use water to wet the window screen well, and then use a soft scrub brush to lightly scrub away dirt and debris with the soapy water. Next, use a clean cloth to gently wipe the screen frame. Rinse screens with fresh water and let air dry. 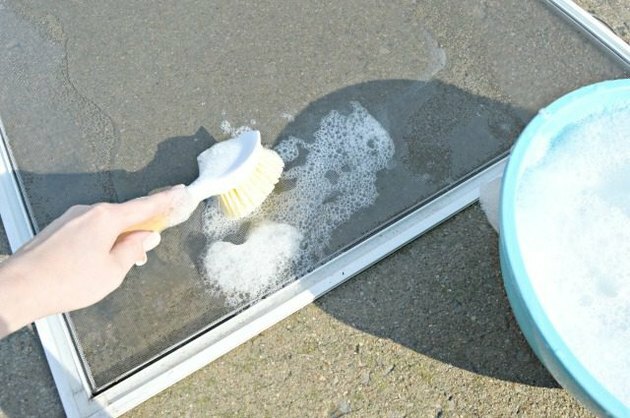 After drying, place the clean screens back onto your windows. How often: They should be cleaned at least two times per year.